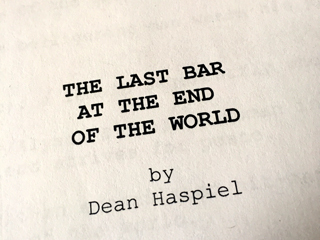 We are incredibly excited to be in production for the World Premiere of Emmy-award winning cartoonist Dean Haspiel‘s new work “The Last Bar at the End of the World.” Dean returns to the stage with this existential tragicomedy about a dying graphic novelist, his best friend, and the sages, teachers, lovers, and losers that fill up his cityscape in a play that asks the question “Why are we here and what do we have to do to move on? I’m Phil Cruise and I’m directing the play. I first met Dean Haspiel as a student at SUNY Purchase in the late eighties. 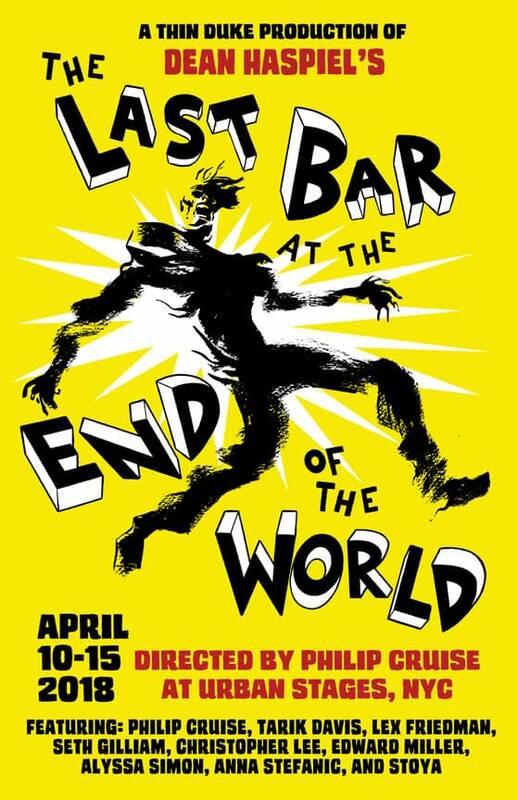 When I was at that hotbed of talent and creativity, I became friends with “Last Bar” cast members Seth Gilliam and Ed Miller and have continued to work and play with them for many years. The collective we’ve assembled for this production are SUNY Purchase colleagues and other Haspiel collaborators (such as adult-film legend, actress and writer Stoya) who believe in Dean‘s emerging theatrical voice and have joined forces to present this off-kilter examination of NYC life in the “post-truth” era. 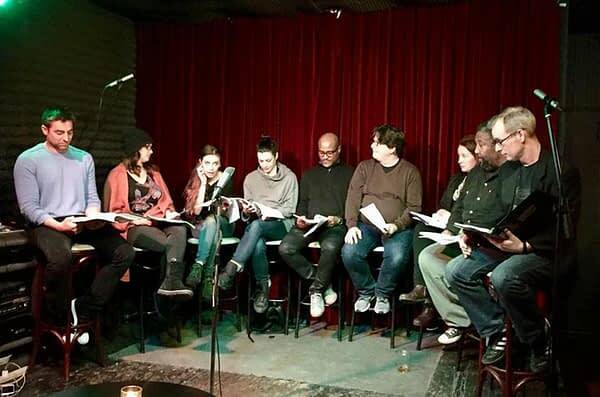 Several of these amazingly talented performers were part of Dean‘s critically acclaimed sold-out run of “Harakiri Kane” in Brooklyn last November and readily agreed to be part of his next premiere. Unfortunately, the exorbitant prices of the theatre venue, marketing, rehearsal space, and set construction/tech have made it necessary for us to seek funding assistance from people like you who believe that new voices in the arts need to be supported in these tempestuous times. Any contribution to this project will have an enormous impact on our ability to present this thoughtful, funny and introspective show and demonstrate that there is support out there for theatre and the arts. Premiering at Urban Stages, 259 West 30th Street, NYC begins performances on Tuesday, April 10th and will run through April 15th, 2018. 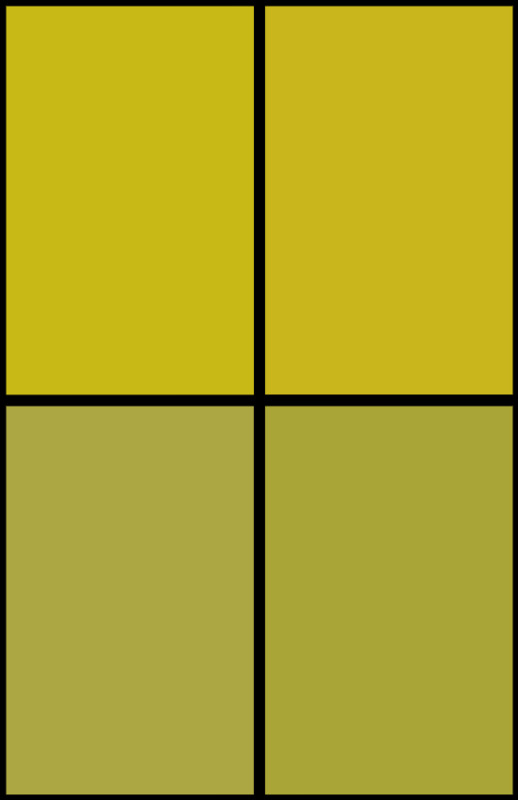 We are looking to raise $5,000 to cover production costs associated with our exclusive one week run. 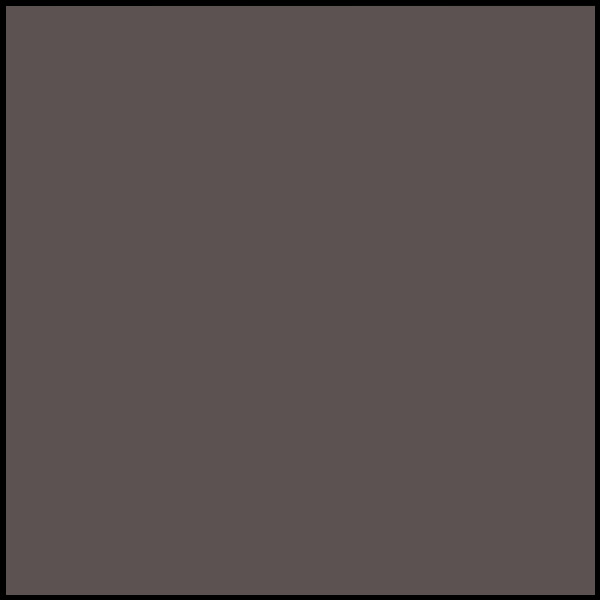 There are some amazing perks that we will be able to share with supporters of the production. 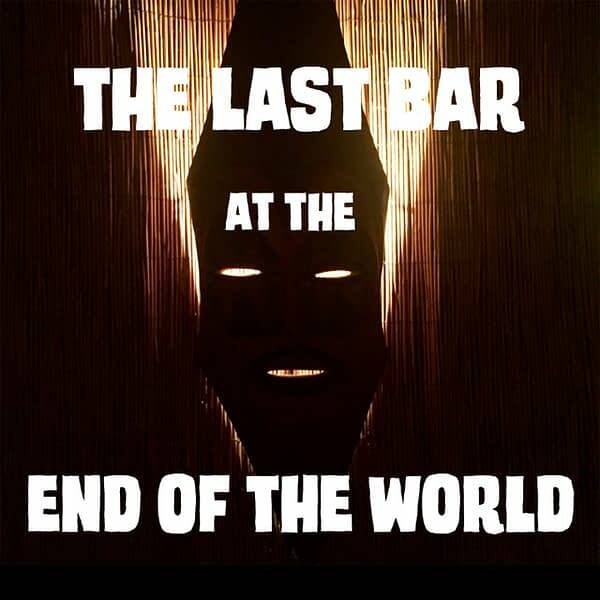 Please check out the IndieGoGo campaign and we hope to see you at The Last Bar at the End of the World.